“For many organizations across various industries, the future of IoT is now. 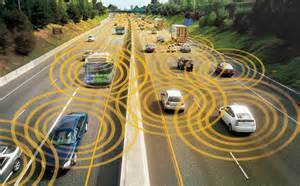 Insurance companies that track drivers’ activities to make underwriting decisions are using the Internet of Things. So are medical device companies that design their products to feed data back to healthcare providers. Industrial companies that use wireless technologies, sensors and data streams to monitor their assembly lines or field-based equipment also are capitalizing on IoT.” [Whirlpool CIO: The future of IoT demands a new IT paradigm]. This entry was posted in Advancing Technology, Internet of Things (IoT), Pervasive Technology, Rev. 13:15 Global Surveillance and tagged connectivity, diginomics, Internet of Things, Iot, mobile connectivity, sensors. Bookmark the permalink.